Hit the down arrow key to stop or move back. Lean your bike with the use of the left and right arrow keys. 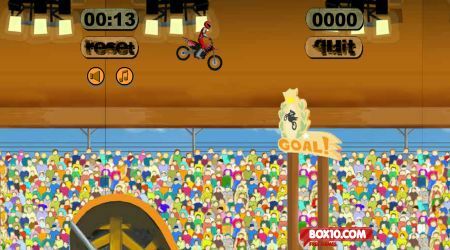 Press the space bar to make your bike hop. 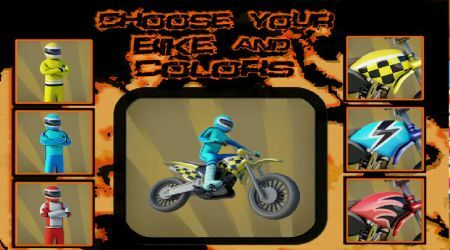 You can customize your rider and bike at the start of the game.